This moisturizing formula with Pro-xylane™ Antioxidant Apricot, and tinted mineral pigments is specifically designed to combat the signs of aging to give five skin-perfecting benefits: reduces the look of wrinkles, firms skin, evens skin tone, deeply hydrates, and helps prevent sunburn. Now it's quick and easy to get a youthful-looking, more even-toned complexion! 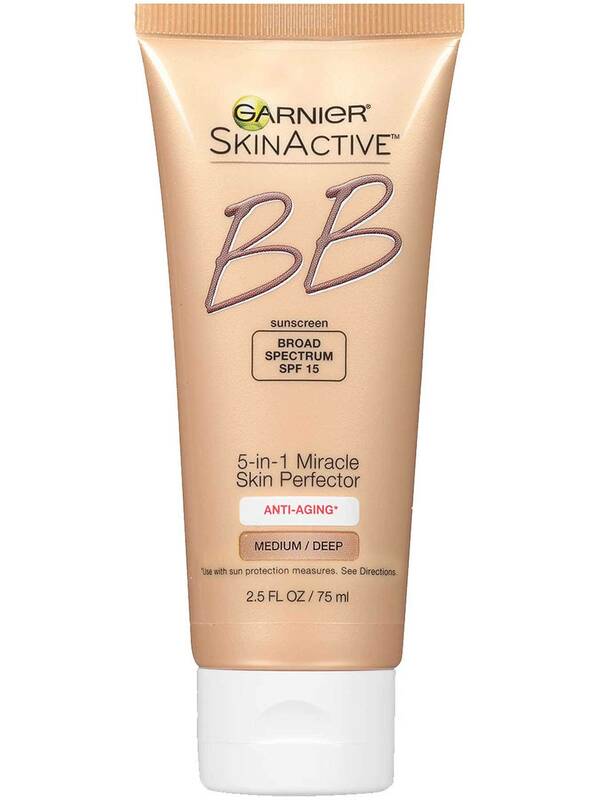 Gently apply Garnier SkinActive 5-in-1 Miracle Skin Perfector BB Cream to face and neck prior to sun exposure for instant coverage and correction as well as for protection. Reapply as needed. Active Ingredients: Avobenzone 3.0%, Octisalates 5.0%, Octocrylene 7.0%. Inactive Ingredients: Water, Isononyl Isononanoate, Glycerin, Cyclohexasiloxane, Propylene Glycol, Ethylhexyl Pamitate, Poly C10-30 Alkyl Acrylate, Butylene Glycol, Aluminum Strach Octenylsuccinate, Dimethicone, Nylon-66, Styrene/Acrylates Copolymer, Glyceryl Stearate, Behenyl Alcohol, Solanum Lycopersicum (Tomato)Extract+, Ascorbyl Glucoside++, Tocopheryl Acetate, Actinidia Chinensis (Kiwi)Fruit Water, Rosa Canina Fruit Oil, Capryloyl Salicylic Acid, Ammonium Polyacryloyldimethyl Taurate, Caprylyl Glycol, Magnesium Pca+++, Manganese Pca+++, Mica, Sodium Pca+++, Zinc Pca+++, Titanium Dioxide, Dimethicone/Vinyl Dimethicone Crosspolymer, Dimethyl Isosorbide, Peg-8 Laurate, Disodium Edta, Glyceryl Stearate Citrate, Octyldodecanol, Polycaprolactone, Sodium Citrate, Sodium Dicocoylethylenediamine Peg-15 Sulfate, Sodium Hydroxide, Xanthan Gum, Methylparaben, Propylparaben, Butylparaben, Fragrance, Linalool, Benzyl Salicylate, Limonene, Geraniol, Citral, F.I.L.B27838/2 +Lycopene ++Vitamin C +++Magnesium. Basic moisturizer versus bb cream: how are they different on skin? Rated 5 out of 5 by Ashleyjayb from Please bring it back!! 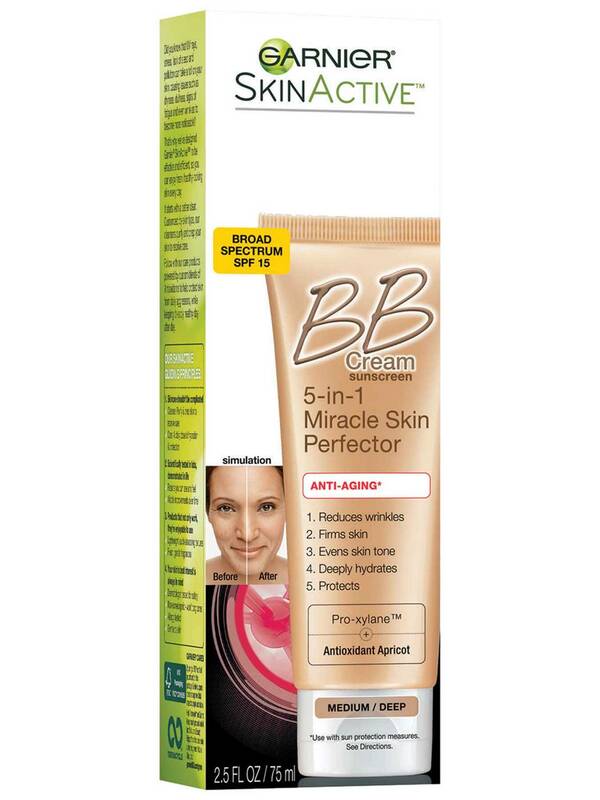 This is the only product that works for my biracial skin tone without wearing makeup. Pleeeeeeaaaaassssseeee bring it back!! Rated 5 out of 5 by Luvsthisproduct from Please bring it back! Hi! I'm am writing to ask you to please bring back this shade. Medium/deep. I love this product. Been searching for over a year having to every product and none works like this does foe me. Decided to buy it on amazon and it was old and didnt work well. Im a 51 yr old women that loves the hydration and dewy look. But the light formula is way to pale and sickly looking for most of us. I get lots of compliments on my skin only when I wear thus. Please bring it back. Rated 1 out of 5 by far2busy from Bad move Garnier I'll add my voice to the discontent regarding the discontinuance of Medium/Dark. I have visited a lot of websites in search of it (Ulta, Target, Walmart) and the level of dissatisfaction is striking. Do you really think people will just switch to light/medium because it's all you have to offer? Seriously bad thinking, if that's the case. I doubt Garnier bothers to read the feedback, same inane responses everywhere; "we are sorry you didn't like....our customers are important to us....will give your feedback to the right people....blah blah blah." Garnier, you are losing a lot of customers. 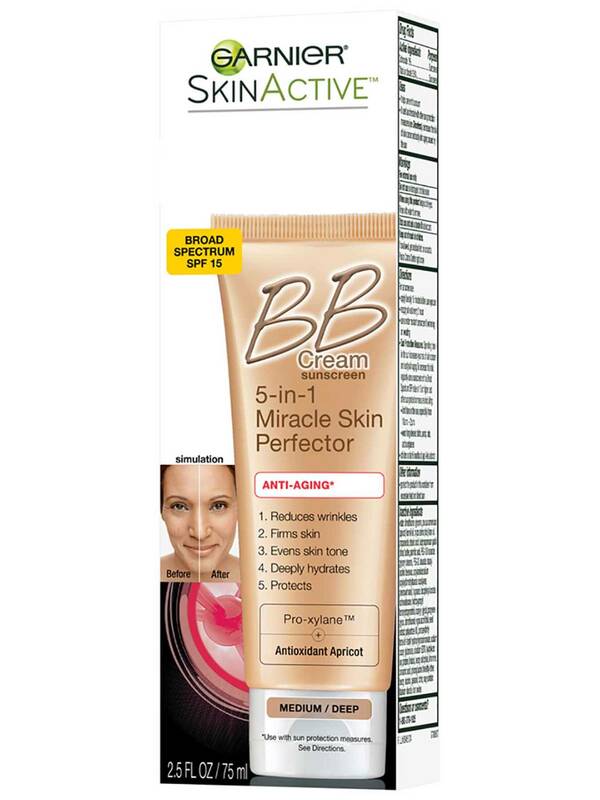 Rated 2 out of 5 by Mary987654321 from Bring back MEDIUM/DEEP ANTI AGING BB CREAM I can find it no where n now I see it is a discontinued item!!! WHY???!!!! The light/medium is too light! Nothing compares !!! 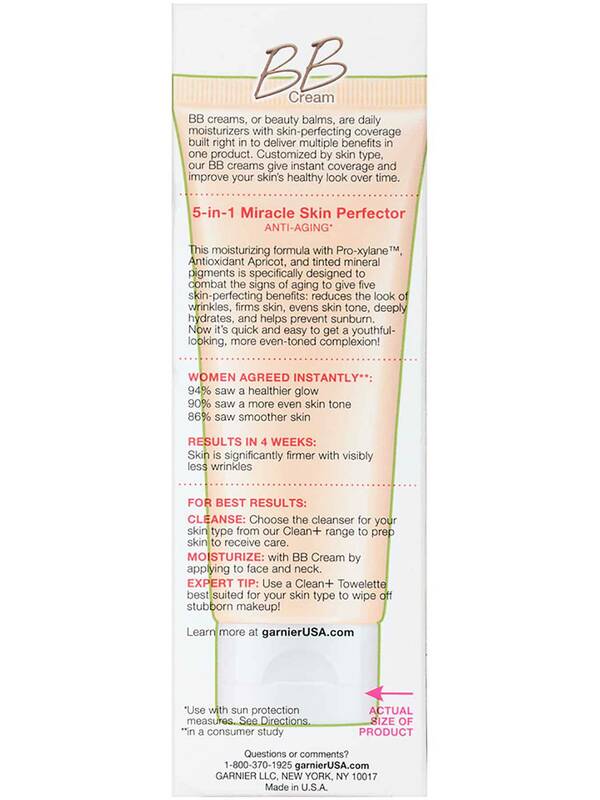 Rated 5 out of 5 by EngTchr from Oily/Combo BB Cream in medium/deep I have used this BB cream for years. I love it. Now I can't find it anywhere in medium/deep. The light/medium is much too light, I by no means have very dark skin. 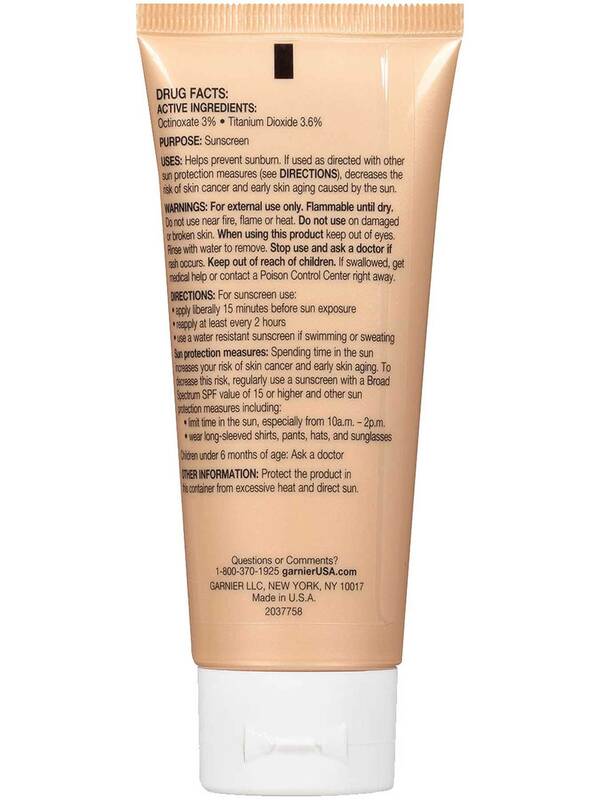 Please bring this Skinactive BB cream for oily/combo skin back in the medium/deep! I see I am not the only only one complaining about the discontinuation of this product.